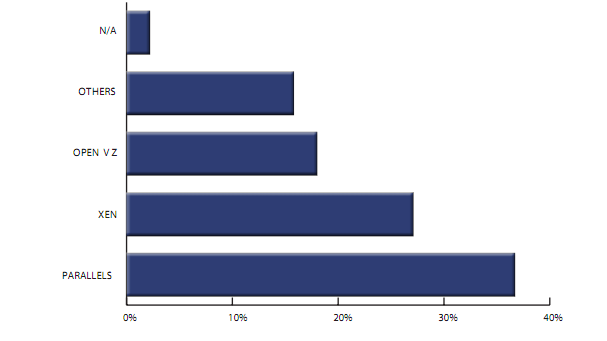 A recent study conducted by Tier 1 research has concluded that Parallels Virtuozzo software is the most popular virtualization technology that currently exists because of its unparalleled support services and its immense capacity as a container for virtual servers. The tests were conducted between OpenVS, XEN, and Parallels Virtuozzo, and the conclusions were remarkable. Parallels Virtuozzo is the most advanced and dynamic system on the market right now for virtualization of your servers and complete management options. Virtuozzo has received accolades for the tremendous work of the developers in creating a solution that can benefit anyone that needs to manage their servers more efficiently. Additionally, Parallels Virtuozzo has been voted one of the most affordable virtualization technologies used in an enterprise or hosting data center. Around the world, a Virtuozzo license is used to completely and systematically organize, manage, and support servers through unique devices known as containers. Virtuozzo provides a high return on investment (ROI) because of its unique properties and services, and Virtuozzo lowers operating costs in terms of physical hardware and carbon footprints. Overall, Virtuozzo is an amazing product with multi-dimensional capacity and support. Combined with a Ksplice License, Virtuozzo has the ability to upgrade your systems instantly without reboot, and this can give you the benefit of guaranteeing 100% uptime to your clients. If you find that your customers often require that you provide maximum uptime, then Parallels Virtuozzo paired with Ksplice is the most all-inclusive system to support and secure your virtual environment. A Virtuozzo license can be purchased from a number of resellers or from the company directly. If you are a hosting administrator, a web developer, a web designer, or an IT professional, a Virtuozzo license will provide you with the technologies, support, and management tools that you need to take your business to the next level. 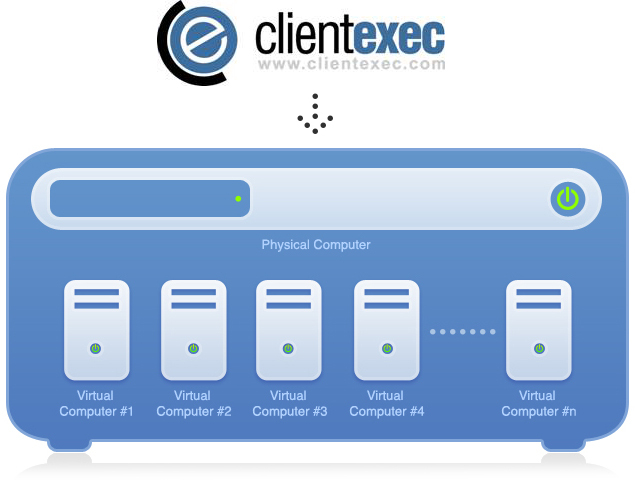 Can ClientExec Automate Your Virtuozzo VPS? If licensing a new billing system is critical to your business’s development like it is for many hosting providers or web developers, then you may be comparing the different software programs to decide which one is the best for your virtual environment. You may have some questions about ClientExec in comparison to other systems like ModernBill or WHMCS. Many wonder if it has the capabilities and usability of other automation programs. For billing system automation for VPS, a ClientExec license will give you the usability that you need while also not comprising the capability of features included. A billing system automation software program should provide you with the ability to automate many tasks, comprehensive support tools, scalability for growth, and versatility in terms of the features offered by the program. ClientExec does all of this, and it supports VPS servers so when you are licensing ClientExec and Virtuozzo, you will be able to efficiently manage your system and add new, useful plug-ins to your system interface. Licensing ClientExec is extremely simple, and you will get to use all of the excellent automation and management tools on your VPS platforms. A Virtuozzo license is another great addition to any billing system, as it will let you fearlessly and effectively manage all of your servers with the most advanced technology in the industry. ClientExec paired with Virtuozzo is an unstoppable force for management and automation of systems, and licensing these two programs will also provide you with all of the tools you need to properly secure your virtual environment from intrusions, hacking, and malicious threats. One of the main concerns with a billing system such as ModernBill is that many find it to be difficult to navigate. Also, there may be a bit of coding involved in getting things just right on your VPS, but by licensing ClientExec with Virtuozzo, you will be able to use the system even if you are a novice web professional. CloudLinux – Welcome to the LicenseCube Lineup! We are very proud to announce that we have recently launched a CloudLinux license opportunity to our customers. CloudLinux is quickly becoming an important feature of many hosting providers because of the effortless ability to limit resources and optimize control over virtual environments. With CloudLinux, you can directly control the amount of resources that your customers are able to use from the operating system, and this allows you a vast amount of oversight that you would not have with any other type of program. CloudLinux is also commended for making virtual environments more stable and secure, while also allowing for shared hosting providers to continue offering excellent services to their customers. With a CloudLinux license, you can increase the uptime that your customers experience, thus enhancing their capabilities and productivity. You can also establish a level of resource usage that you deem to be appropriate for your users so that you do not overextend your resource. Resource allocation is only one of the many benefits that a CloudLinux license provides, and you may be interested in adding this service to your control panel, whether it is cPanel, Plesk, DirectAdmin, or any other control panel. CloudLinux is on the cutting edge of technology, and it is capable of working seamlessly with many of the top control panel programs on the market. If you are currently using DirectAdmin, cPanel, or Plesk license, you can rest assured that you will be able to fully utilize all of your management strategies just by incorporating a CloudLinux license into your current system. Almost anyone can use the CloudLinux, and it is quickly becoming one of the most popular and influential licenses on the market. LicenseCube has recently introduced their CloudLinux license to the public, and we are excited to see how you like using this new and innovative product. Blesta 3 – Closer than You Think or Is It? 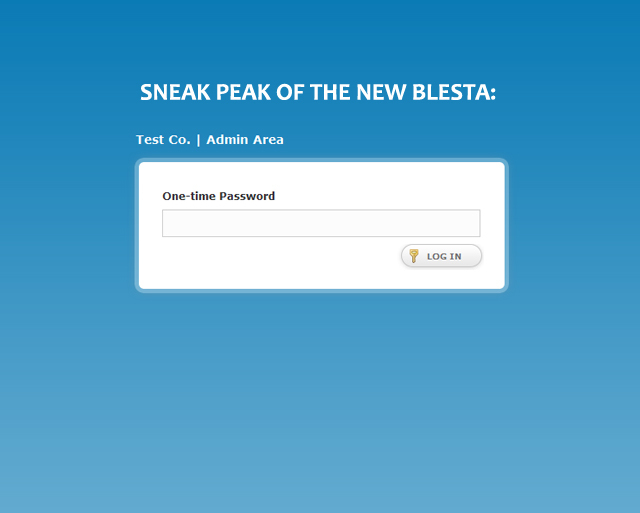 As you may have heard, there is a new version of Blesta that will be hitting the market in the not-too-distant future. Blesta 3 will be unveiled shortly, but the secret name has not yet been released. That is why the new program is referred to as Blesta 3 until the name has been disclosed. Blesta 3 will provide you with an array of new and useful features, so that you can improve your virtual environment by enhancing the flexibility and feature rich services that you offer your customers. Blesta is a remarkable billing system that has been built from the ground up to meet all of their customers needs. The security features and improvements that have been made will surely make Blesta a more popular option among consumers looking for a reliable, functional billing system. If you are currently using ClientExec or WHMCS and you are looking to make a switch, you may want to stay tuned for the release of Blesta 3. There may be a shortage of information about the new Blesta release, but we have been able to deduce some things about the new software program as it related to ClientExec and WHMCS. RSA Security tools on Blesta 3 have been enhanced, and they may be releasing an iPhone app to make mobile management possible. This feature, we have concluded, will provide double and maybe even triple identification. Blesta 3 will make the billing system market even more competitive, as the developers attempt to make this software program stand out from the rest. Their competitors, ClientExec and WHMCS will need to keep pace with Blesta in order to capitalize on the innovation and improvements that will be made on the new Blesta 3 program. If ClientExec and WHMCS can put particular emphasis on their security features, they may be able to stay competitive with Blesta after the newest release is complete.